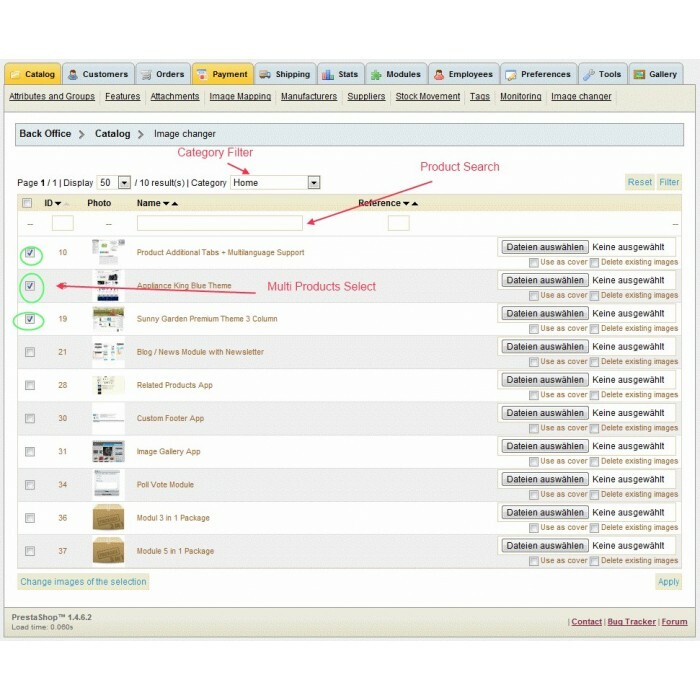 Change Images for Multiple Products at once or upload new pictures for multiple Products! 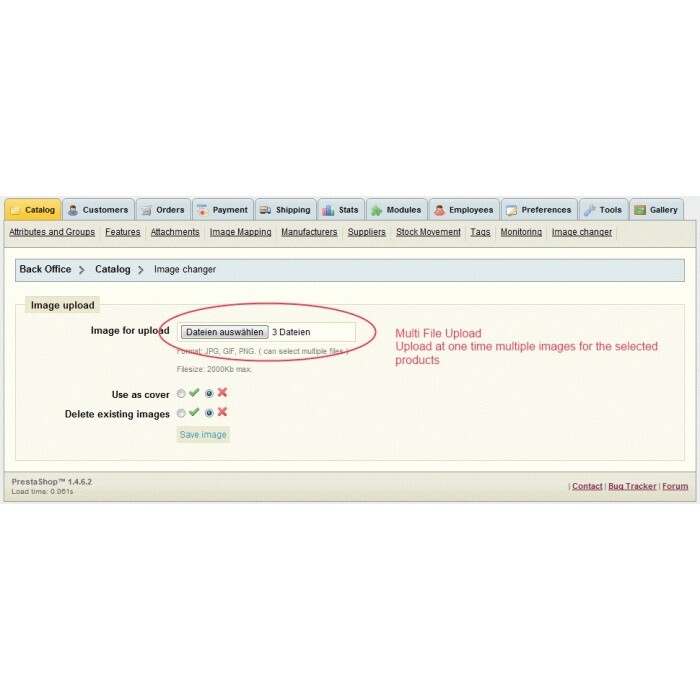 This module is developed for updating / changing images for multiple products at once. SAVE the time ﻿you will need to update / change the pictures of multiple products of your shop. As our customer you receive 100% free access to our Secure Online HelpDesk. Please kindly direct all support-related inquiries to our HelpDesk so that our dedicated support team can gladly assist you in the most timely and efficient manner. 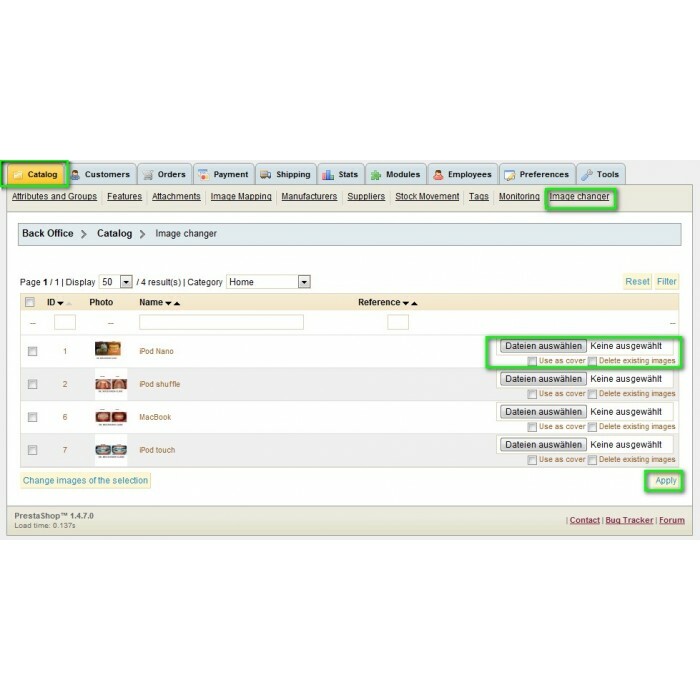 If you find this extension useful, please share the love by leaving a review and positive feedback. We love hearing your positive feedback. Presta-Apps Development was founded by email marketers and eCommerce experts, who understand online retailers' goals and challenges alike - we've been there. Making the most of your customer data - from the products they've purchased, to their demographics, to their purchase and engagement history - is invaluable, but often hard to do. Getting it right leads to phenomenal results from more intelligent email marketing campaigns that your customers want to open, because they speak directly to them. In the fierce and growing competition for inbox attention, you can't afford to send generic messages. Our customers' results speak for themselves. We look forward to helping you! Install the module throw the PrestaShop Installer. 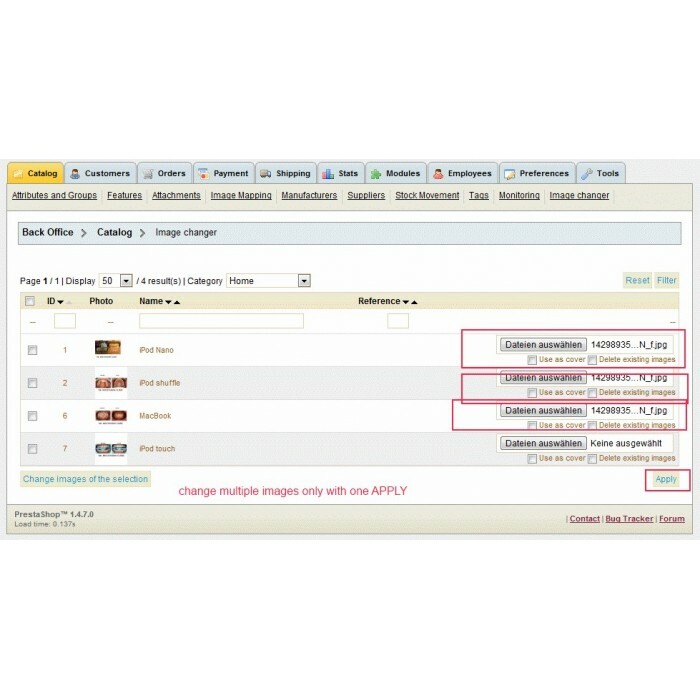 The ultimate Image / Gallery Module for PrestaShop Build a Custom Gallery for your online Shop. Take advantage of the many features one Galley can offer you and your cutomers. One of the most powerful way to market your products online Now you can effectively organize pay-per-sale, pay-per-impression, pay-per-registration affiliate marketing program allstand alonein your online PrestaShop store.